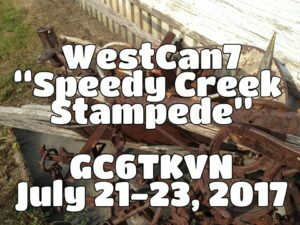 The next installment in the WestCan series of Western Canadian MEGA events is in Cold Lake Alberta on July 9, 2016 and the days leading up to it. They have been hard at work organzing and publishing all of the new geocaches, satellite events, schedules, and information for attendees. 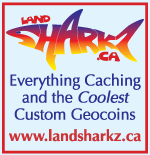 Be sure to visit their website at sailsrailstails.com and their listing on geocaching.com for the latest information. We hope to see you there for another fantastic event! Happy New Year 2015! With most of the remaining t0-do items closed off and 2014 now behind us, we now look forward to the next event in the WestCan series which is taking place near Dauphin, Manitoba on July 18, 2015. Registration is live, and we hope to see you there! 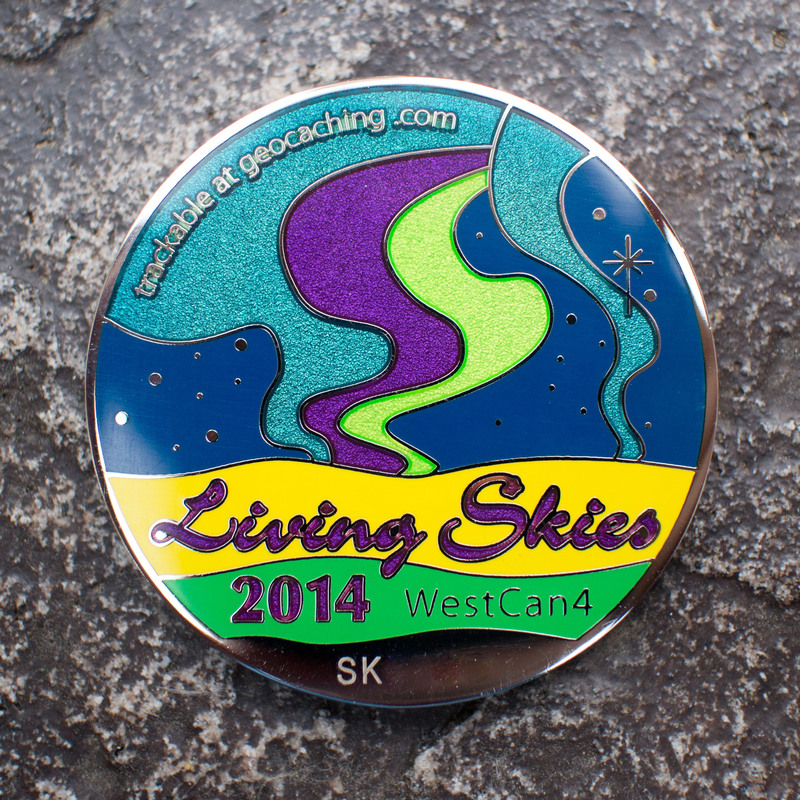 Interested in contributing to the effort to keep the legacy of Living Skies 2014 alive? Need a last minute Christmas gift? With the monumental geocache hiding efforts leading up to the MEGA event, maintenance of these caches continues to be an ongoing effort for the organizing committee. 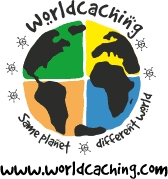 In this light, we invite interested geocachers in the area to take over the responsibility of maintaining these caches by adopting either one or a number of these caches to ensure a positive experience for future finders. In the last instalment of our series of donations to give back to the community, representatives from the Living Skies 2014 event planning and organizing committee met with Pat Rediger, Administrator of the Saskatchewan Trails Association to present a $1,000 donation to assist with the Saskatchewan Trails Fund, which provides grants to member organizations to build and maintain trails in Saskatchewan. 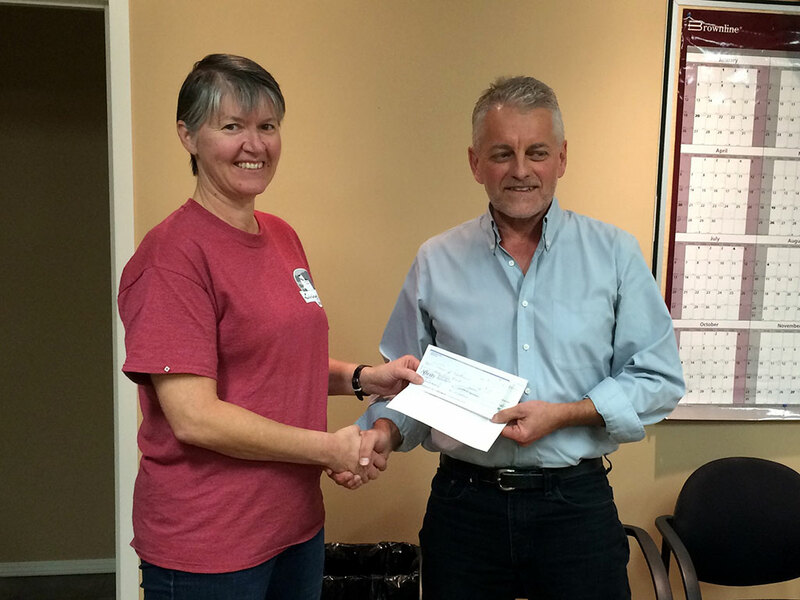 Linda Mushanski (navyguider) presents a $500 cheque to Steve Krieger, president of S.A.G.A. 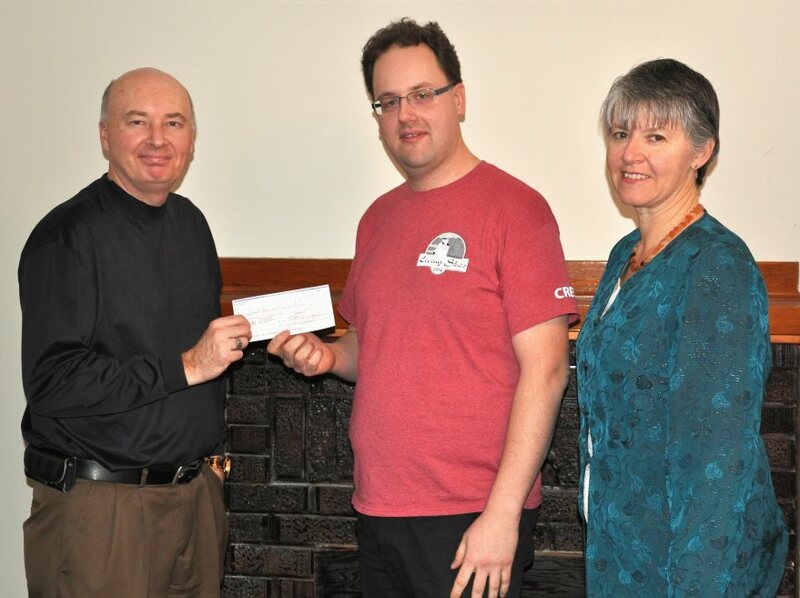 December is a very appropriate time of year to think about giving, and continuing in our series of posts about “Giving Back” from the legacy funds of Living Skies 2014, $1,000 allocated to local geocaching groups in our province. 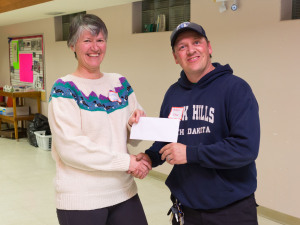 At the 2014 Geocaching Christmas party events in Regina and Saskatoon, these donations were awarded in person. 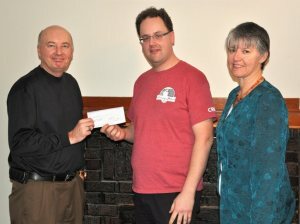 $500 to the Saskatoon Area Geocaching Association, and $500 to Regina Geocachers. We hope that the “Legacy of Living Skies” lives on by helping these organizations to improve and expand their efforts to promote and be great stewards of geocaching in Saskatchewan. 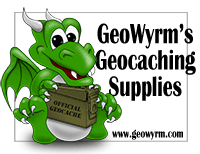 It is just as important to give in geocaching as it is to receive. We worked hard and had the support of many to ensure that Living Skies 2014/WestCan4 was a success. And what a success it was! So after all the thank you’s and a legacy fund put in place for a future WestCan series MEGA to be held in Saskatchewan, the Event Planning and Operating Committee decided we had the opportunity to create a legacy in our host town. 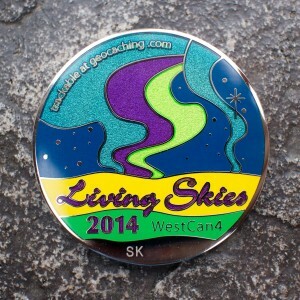 If you have not yet set out on the Prairie Storms Adventure Trail, you can still look forward to a nice reward if you plan to head out on this trail in the future and find the minimum 45 caches out of the 68, as there are still 18 “Special Edition” Living Skies 2014 geocoins remaining! 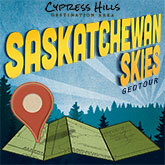 If you wish to join the ranks of the geocachers who have enjoyed this trail, or volunteered at the Living Skies 2014 MEGA. this is the only way you can now acquire one of these geocoins. 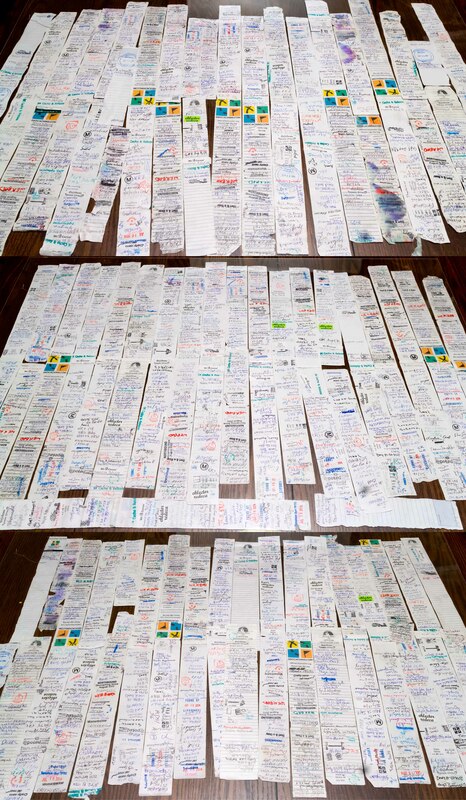 The logs from 70 Star Trail Caches: Can you find your name? After 200+ found logs on every cache the “Star Trail” power trail of Living Skies 2014 geocaches south of Rosthern was starting to show its love, use, and abuse. A week ago, we replaced over full 70 logs in these caches, refreshing them for another run of new cache finds for all to enjoy. In this maintenance visit, we also found that at least 3 of the ammo cans placed on the “Legacy of Living Skies” trails were mangled or buried by maintenance equipment and farmers in the area. These caches were able to be replaced nearby with new ammo cans from the small remainder left over.